HDMT.net sagan som blev en inloggningstjänst! We appreciate your concern and support in trial run period of HDMT.NET. Due that our servers fail to offer services caused by too many visitors. 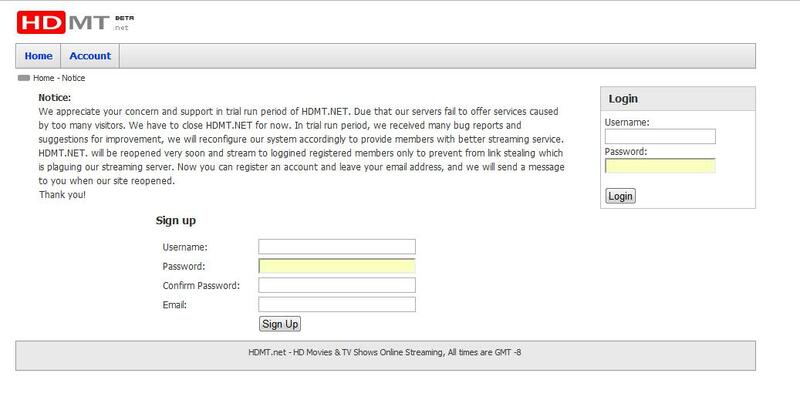 We have to close HDMT.NET for now. In trial run period, we received many bug reports and suggestions for improvement, we will reconfigure our system accordingly to provide members with better streaming service. HDMT.NET. will be reopened very soon and stream to loggined registered members only to prevent from link stealing which is plaguing our streaming server. Now you can register an account and leave your email address, and we will send a message to you when our site reopened. This entry was posted on onsdag, 18 november, 2009 at 8:22 f m and is filed under sociala medier. You can follow any responses to this entry through the RSS 2.0 feed. You can leave a response, or trackback from your own site. One Response to HDMT.net sagan som blev en inloggningstjänst! I have mastered some important things through your blog post post. there are plenty of games available and which are designed in particular for toddler age youngsters.